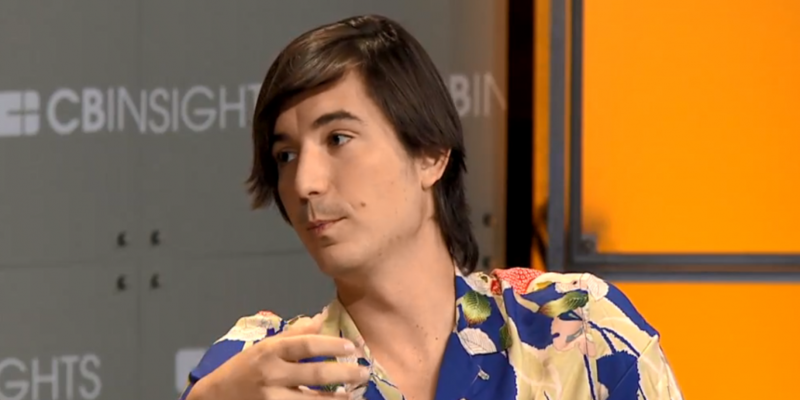 As a new entrant into the cryptocurrency field, Vlad Tenev, co-CEO of online investment brokerage Robinhood, is following a time-honored business strategy: Undercut the competition. Except he’s taking it to an extreme. Launched early this year, Robinhood Crypto is differentiating itself with zero-fee transactions, with the ultimate goal of doing away with the concept of trading fees in the market altogether. And while offering zero-cost trades to consumers may give Robinhood an edge right now, in his mind, it’s only a matter of time before this becomes commonplace. The fee-free business model has already served Robinhood well in its flagship business, Robinhood Financial. Founded in 2013, the company originally dealt in traditional investment products such as stocks and options, competing with discount brokerages like E-Trade and Charles Schwab. From the outset, and continuing to this day, Robinhood offered these services on a no-commission basis. Instead, the company primarily makes its profits through collecting interest on cash and securities held in customers’ accounts, as well as through optional premium account memberships such as Robinhood Gold. It currently services over 5 million consumers and has contributed mightily to a pricing war among brokerages that has reportedly driven incumbents’ fees down nearly 40 percent. In crypto, however, it’s unclear how Robinhood intends to make money over the long term. For now, the company is treating this activity as a way to get consumers to open accounts that will hopefully benefit its core business. “The primary goal of the crypto business is to just get people into the overall ecosystem so we’re intending to break even on that business for the foreseeable future,” Tenev said at a recent conference in New York. While Robinhood’s no-fee model may make it an appealing alternative for many retail crypto investors, the competition is formidable, even in the very limited field of user-friendly onramps for consumers bewildered by most crypto exchanges. On the one hand, Coinbase charges anywhere between 1.5 percent to 4 percent, depending on the user’s payment method, location and other factors, plus a spread on the exchange rate. So, it might be vulnerable to a cut-rate rival such as Robinhood. However, until recently Robinhood only allowed trading in the two largest cryptocurrencies by market capitalization, bitcoin and ethereum – though it just added litecoin and bitcoin cash – and it operates in just 17 U.S. states. Coinbase, on the other hand, offers a similar variety of choice (four cryptos, with a fifth in the works) and operates in nearly all 50 states and internationally with 20 million users, four times Robinhood’s total user base. The other competitor Tenev mentioned, Square’s Cash App, only offers bitcoin purchases, but it does so in 47 states. Square does not charge a fee for this service, though it takes a spread on the exchange rate depending on the transaction size and market volatility. All told, Square Cash has 7 million users, who primarily use the app to send each other dollars. Aside from costs, however, Robinhood also touts its ability to do all one’s trading – stocks, options, ETFs and now crypto – in one place, and its capacity to handle large order volumes, a notorious shortcoming in the crypto exchange space where multi-day outages are not unheard of. “We were able to sustain the customer orders,” Tenev explained during the CBInsights conference speaking to the period in late January when several exchanges were down for days at a time. Moreover, Tenev said Robinhood is just getting started in crypto. Despite its current role as a sort of marketing funnel for his company’s flagship brokerage, he has a grander vision for the young crypto business. Indeed, in a funding round last month, Robinhood raised $363 million to expand its cryptocurrency trading services beyond the states it currently services, in order to slowly but surely become “the largest or one of the largest crypto platforms out there,” as the other co-CEO, Baiju Bhatt, put it in an interview with Fortune. Robinhood Markets, the parent company to Robinhood Crypto, has other big ambitions as well; it has been reported to be in talks with regulators about advancing into the banking space. Of course, that’s a bit of a humblebrag, considering that Robinhood is still a relatively new player, both to stock brokerage and especially crypto. Tenev’s essentially predicting he’ll become the kind of dominant incumbent his company now challenges, then “conceding” that position will be hard to defend.